The English Literary Society of Sri Aurobindo College is a vibrant and eclectic society that has actively organized workshops, lectures and inter-college competitions over the last five years. An annual feature of the Society is its Literary Festival that attracts students from colleges all over Delhi, and its creative newsletter that reflects the artistic ingenuity of its students. The Society organized the following events in 2018-19 under the guidance of the Principal- Dr. Vipin Aggarwal and Teacher-in-Charge- Ms. Mousumi Dasgupta. A new initiative- 'The Readers' Collective' was launched in January 2019 to motivate the students to read outside their curriculum. 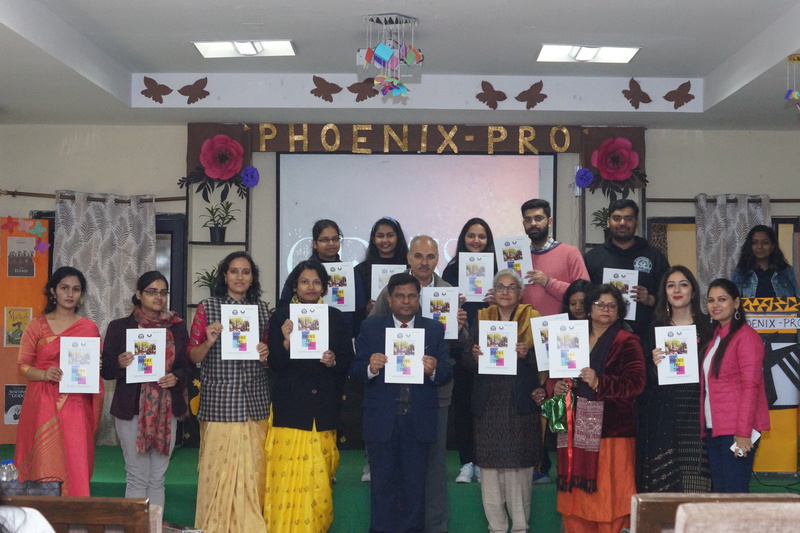 The Annual Literary Fest - 'Odyssey 2019' was held on January 24-25. The Chief Guest of the event was Sh. Githa Hariharan who delivered a talk on the miracle of reading and the power of asking questions. Workshops were organized on Academic Writing and Critical Thinking. A wide array of inter-college competitions such as Slam Poetry, Extempore, Creative Writing and Panel Discussion were also held. A screening of 'My Beautiful Laundrette' was held on November 14, 2018. Ms. Rachana Yadav, Renowned dancer, choreographer, and director of 'Hans'- a literary magazine delivered a lecture on 'Performing Stories: Transforming Stories into Drama' on November 2, 2018.